NEW YORK (Reuters) - Four in 10 Americans believe sexual misconduct allegations against U.S. Supreme Court nominee Brett Kavanaugh, while three in 10 do not and the rest do not know, according to a Reuters/Ipsos poll that split largely along party lines. The poll, released on Sunday, follows an emotionally charged week in Washington, during which Kavanaugh's once-certain confirmation was jeopardized after three women made allegations against him, including accusations of assault and exposing himself in public in the 1980s. Kavanaugh, a conservative federal appeals court judge nominated to the country's top court by U.S. President Donald Trump, has denied those allegations. The FBI has opened an investigation after Trump bowed to pressure from moderate Senate Republicans. The poll found that 42 percent of adults said they believed the accusations, including about the same number of men and women. Thirty-one percent do not believe them and 27 percent said they "don't know" what to believe. The responses were divided largely along partisan lines - about two-thirds of Democrats said they believed the allegations and nearly two-thirds of Republicans said they did not. Ford said she feared that she would be raped and accidentally killed. Kavanaugh told the committee afterward that he considered the allegations part of a "calculated and orchestrated political hit" from Democrats who do not want him confirmed. He said he did not know any of the women who have accused him of wrongdoing and he produced calendars from the time that he said exonerated him. 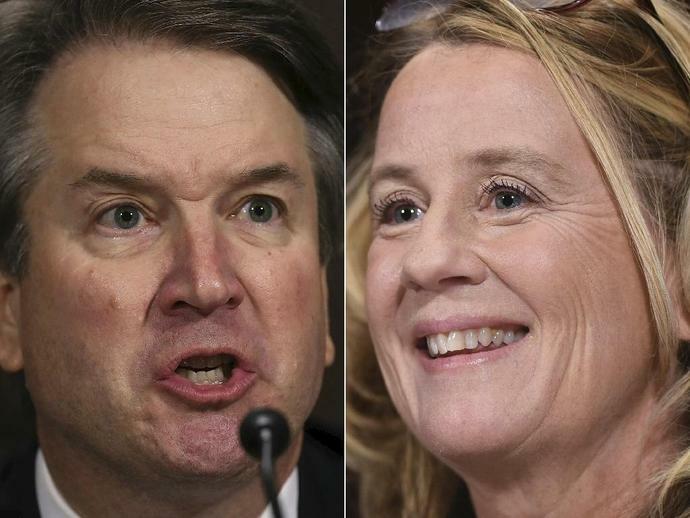 A recent YouGov poll found that the country was split over the testimony that Kavanaugh and Ford presented to the panel, with 41 percent saying that they believed Ford and 35 percent saying they believed Kavanaugh. The Reuters/Ipsos poll, which was conducted after the allegations were publicized, also found that 41 percent of adults opposed Kavanaugh for the Supreme Court. That was up about 5 percentage points from a similar poll conducted from Sept. 18-24. The poll was conducted online in English from Sept. 26-30 throughout the United States. It gathered responses from 2,478 American adults, including 983 who identify as Democrats and 818 who identify as Republicans. It has a credibility interval, a measure of precision, of 2 percentage points.